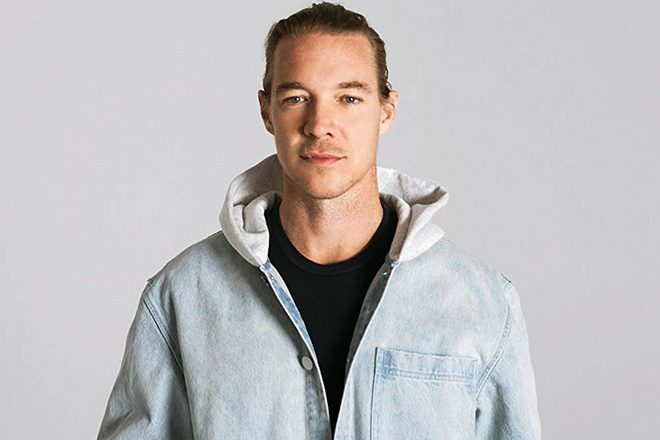 LA based DJ and producer Diplo, born Thomas Wesley Pentz, has debuted a new short documentary that chronicles his storied career to date. Aptly titled Florida to California, the documentary provides an intimate look at Diplo's journey from from his beginnings in South Florida to his rise to stardom in Philadelphia to his latest 'California' EP, which is named after the state where the new material was made and where he now works. The doc includes footage of friends and collaborators including Justin Bieber, Madonna, Snoop Dogg, Post Malone, M.I.A, French Montana, Steve Aoki, Skrillex, A-Trak, DRAM, MØ, Dillon Francis, DJA, Switch, Ariel Rechtshaid, Dre Skull, Lee Scratch Perry, Tyler, The Creator, Jasper Dolphin, his Major Lazer bandmates Jillionaire and Walshy Fire and many more. Diplo's 'California' was released earlier this year via his own Mad Decent imprint and is his first solo release in five years. It includes six tracks and features Diplo collaborating with the likes of Lil Xan, Trippie Redd, MØ, DRAM, Lil Yachty, Desiigner, Santigold and GoldLink. A new collection of remixes of the EP debuted this week, with new versions of the tracks from Keys N Krates, UNKWN, QUIX, Jarreau Vandal, TWERL & Max Styler, and Tony Romera. Watch the Florida to California documentary below.